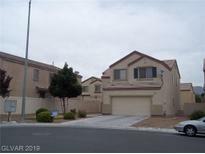 Below you can view all the homes for sale in the Centennial & Revere subdivision located in North Las Vegas Nevada. 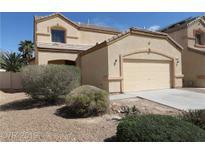 Listings in Centennial & Revere are updated daily from data we receive from the Las Vegas multiple listing service. To learn more about any of these homes or to receive custom notifications when a new property is listed for sale in Centennial & Revere, give us a call at 702-323-5963. There is a room downstairs with a full bath, a huge loft, large master with a separate tub and shower. MLS#2086947. TR Realty. Master Bath with Garden Tub, Separate Shower, Dual Sinks, Raised Vanity, and Tile Flooring. Rear Patio! Much more! MLS#2081002. Realty Executives Southern. Home comes with a 30-day buyback guarantee. Terms and conditions apply. MLS#2081475. Opendoor Brokerage LLC. 2 car attached garage with entry into house. MLS#2075655. Keller N Jadd. Walking path from driveway to backyard for easy backyard access. MLS#2075489. Keller N Jadd. Neighborhood has community playground with basketball court. MLS#2073444. Signature Real Estate Group. New carpet everywhere else. New two-tone paint throughout. MLS#2070462. Shelter Realty, Inc.
Common area maintenance is part of the HOA. MLS#2059413. Opendoor Brokerage LLC. Patio w/built in fire pit. Parks nearby. MUST SEE! MLS#2054689. Offerpad.